Figure 8-43.-Making a closure joint in a header course. 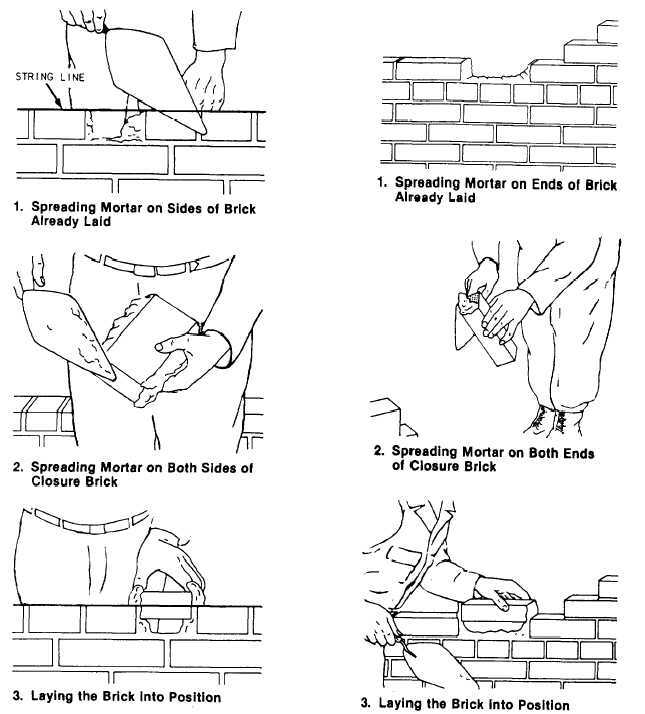 Home > Construction Training Manuals > Builder 3&2 Volume 01 > Figure 8-43.-Making A Closure Joint In A Header Course. Figure 8-44.-Making a closure joint in a stretcher course. stretcher course (figure 8-44) using the same techniques as for a header course. As we mentioned earlier, filling exposed joints with mortar immediately after laying a wall is called pointing. You can also fill holes and correct defective mortar joints by pointing, using a pointing trowel.